I loved the picture of the little house in the latest Play Date Cafe challenge, #47. Although I was inspired by the colour combo, I just loved that wee house, so went with that and made a birdhouse for a friend’s daughter’s birthday. So far I’ve lined the nest with tissue paper strips and I intend to fill it with little goodies, makeup and jewelry. I’m not sure if you can see very well in this photo, but I scored pieces of white card at regular intervals to give the effect of cladding. The template for the bird house can be found here. Wonderful! This is the cutest little project and LOVING the colors. That label stamp is perfect. 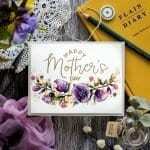 Fab use of this weeks colors, I’m sure your friends daughter will love it. The score marks add the extra dimension the house needs! Thanks for playing at the PDCC. SUPER cute birdhouse (I had forgotten all about Nichole posting that template)- I’ve got to make this! Too funny–I did the same project! Love your take! Wow! This is magnificent! Love the crisp, clean coloring and fabulous tag…and how you’ve coordinated the bird with the red polka-dotted ribbon! Awesome job! 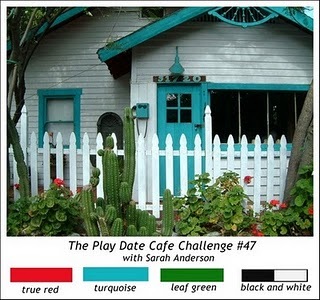 Thanks for playing along with us at the Play Date Cafe! What a cute bird house. It is so fun to see all the different types of houses everyone is coming up with. Thank you for sharing. How cute is this?!? What beautiful piece. Great job on the challenge. 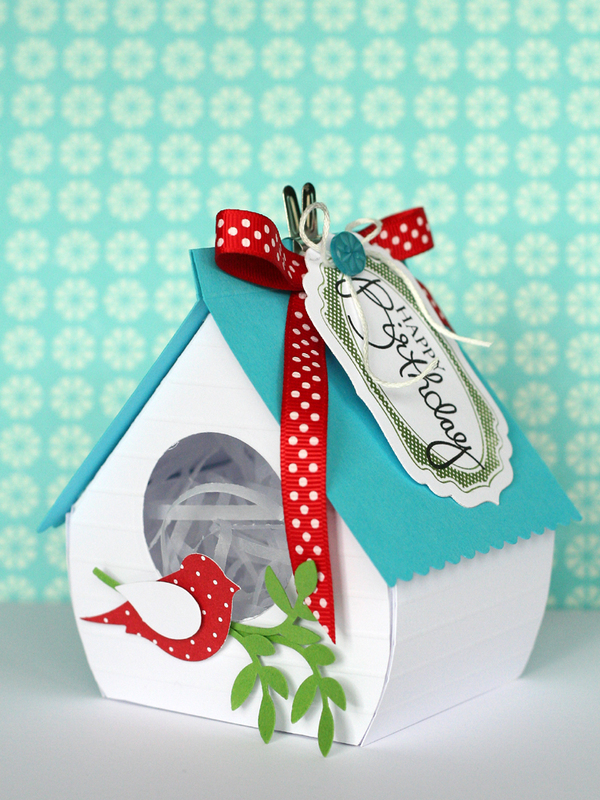 Great job on this color challenge…..love the birdhouse! I have this saved to try later!